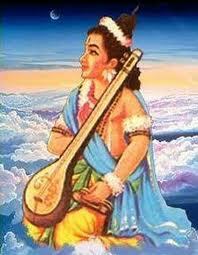 Narada jayanti is auspicious day of the birth anniversary of Devarshi Narada Muni. It is observed on next tithi of the Vaishaka Purnima. According to north Indian purnimant calenders it is observed on the Krishna paksha pratipada in the month of Jyesta. It falls in the month of Vaishaka in amavasyant calenders. This year, Narada jayanti is on Sunday, 26th May 2013. 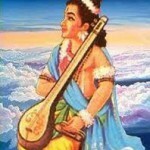 Narada is sage and Devotee of Narayana (God Vishnu). He is considered as old time messenger, first journalist and can visit any loka at will. People visit vishnu temples on this day and few observe fast. Reading Narada Bhakti Sutra, Naradiya Dharmashastra, Narada Pancharatra and Narada Purana are considered auspicious on Narada Jayanti day.